Is it just me or is January the longest month out of the whole entire year? I know I'm always virtually skint for the whole month and spend the whole time counting down the days until I finally get paid! It's great being paid early in December but then you realise, after spending a fortune doing last minute Christmas shopping, that you now have to wait an extra 8 days until you get paid!!!!! Who am I kidding, this is me every single month!!!!! I swear when I get paid it's like I've never seen money in my life before and all I want to do is go out and buy whatever I've seen reviewed, new product launches or just anything that's on offer! I say each month that I'm not going to do that but every single time I fail miserably and two days after being paid I'm like right Julie you need to rain it in now!!!! I work at Bluewater which is a nightmare as I have to walk past all these lovely shops and I'm a woman with zero will power, not just in shopping but in life! 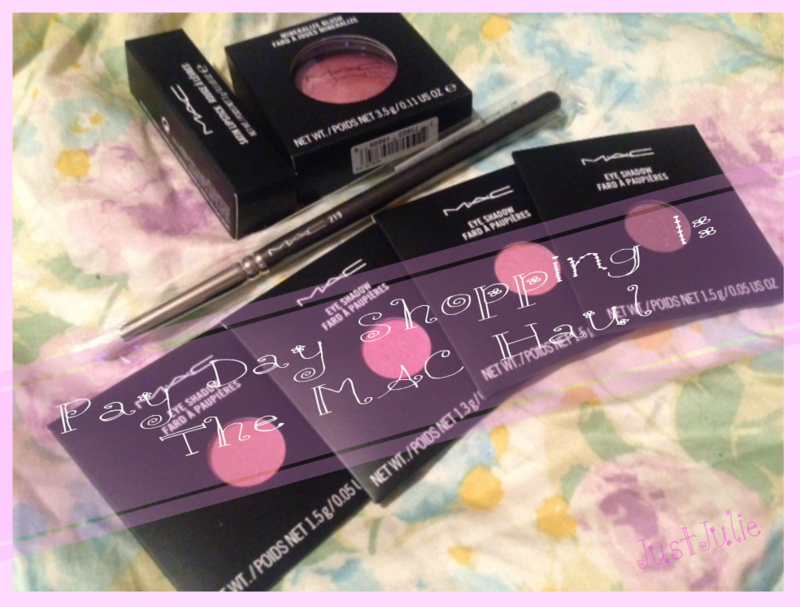 So with all that said this is part 1 of my pay day spending hauls and as I bought quite a few things from MAC I thought they needed their own haul post! I actually only intended on buying a new lipstick, they didn't have the one I was after so what did I do? Bought four eyeshadows, a blusher, a lipstick and a brush... as you do! Lipstick is one of the things I tend to neglect the most, even though I have lot's and continue to buy them I just don't seem to wear them often enough. I'm mainly an eyes girl and always think that if I wear lipstick with full on eyes then it will look a bit OTT for work. So now my hunt is on for nice neutral lips that won't look too much but also don't make me look dead too! 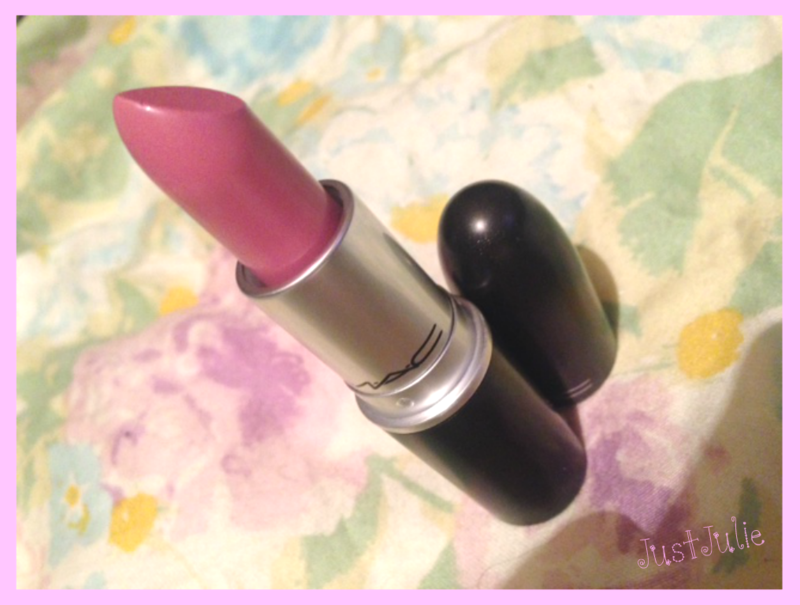 I swatched a ton of lipsticks and decided to go with the ever so famous 'Snob' I liked it as it's a nice cool tone pink with a slightly lilac undertone, it's also a satin finish, which I find last quite well on my lips yet don't dry my lips out like the Retro Matte Lipsticks do. 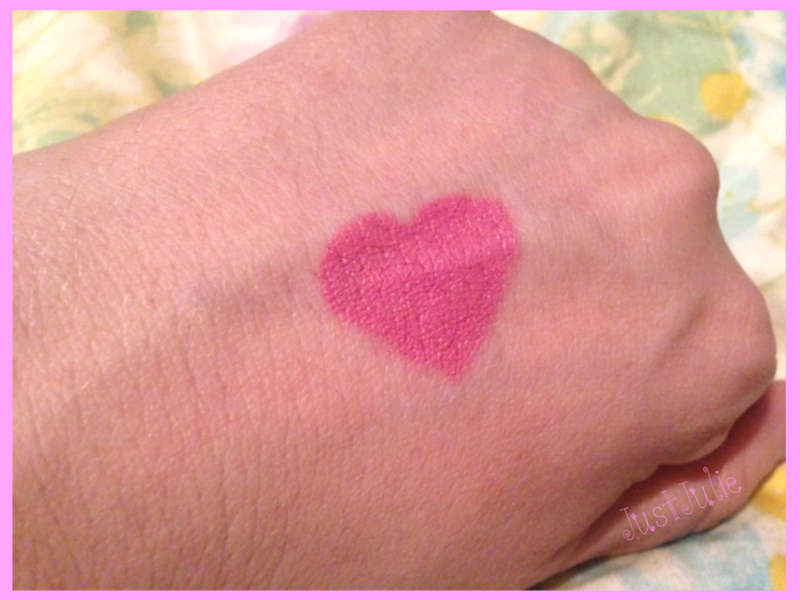 I also think this is going to be a great lipstick to mix with the deeper pinks that I have! As you go through this post I think you're going to see a theme! Yes It's all very pink! I'm not sure whether it's cos I've seen a lot of makeup looks consisting of pink shades, because it's nearly valentines Day or if it's because I'm desperate to get this horrid weather out of the way and move into Spring! 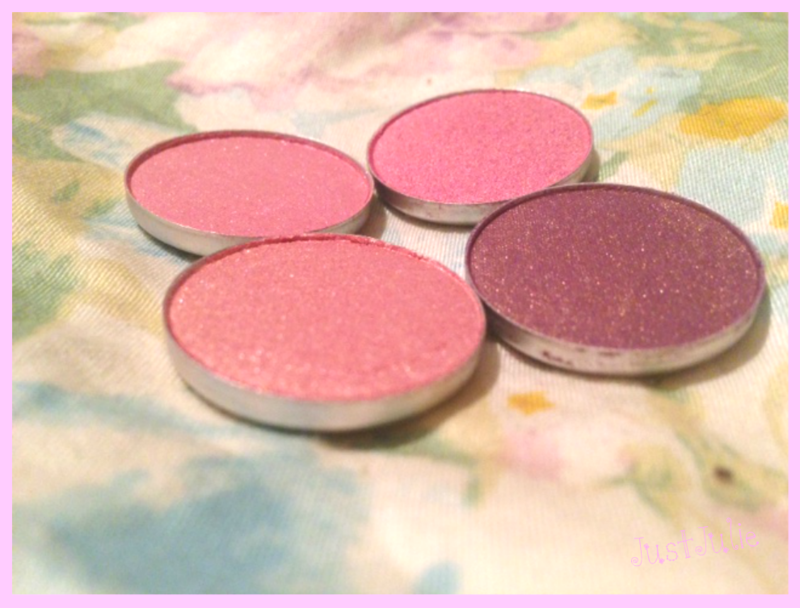 I've never worn pink shades before but I'm a huge lover of purple, lilacs and violet shades and honestly think that these eyeshadows will look gorgeous teamed up with some nice darker plum or purple colours. I'm totally blaming the Naked Palette 3 for my new love of pinks which is also the reason I bought the colour 'Gleam' as I thought it would be a good dupe for my favourite colour out of the naked 3 which is 'Dust' I know I will get a lot of wear out of 'Trax' as it's similar to my Makeup geek eyeshadow 'Sensuous' and if I don't like the 'Pink Venus' and 'Da Bling' I'm sure I can use them as blushers! I'm super excited to see what looks I can create with these though! 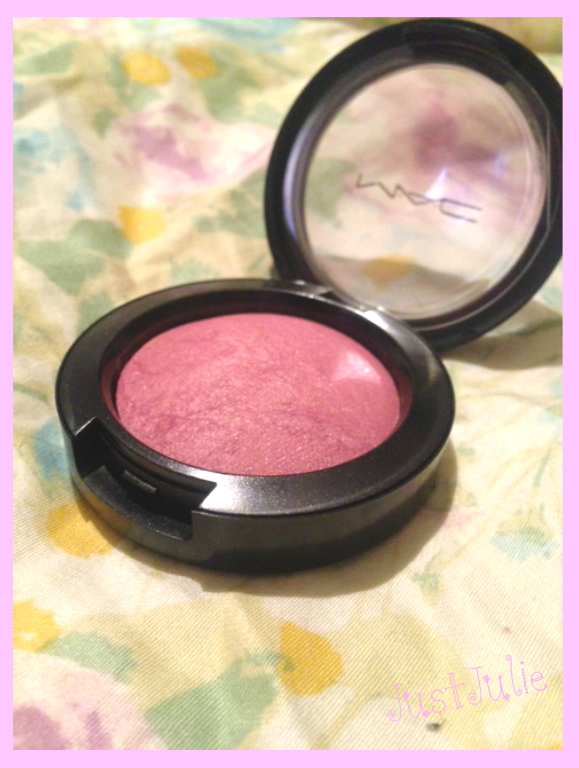 Firstly I didn't quite realise this was £20, I should really look at the prices when I buy things and secondly this is my first ever MAC Blusher purchase and I honestly fell in love with this colour as soon as I saw it and then when I did a swatch it took my heart! 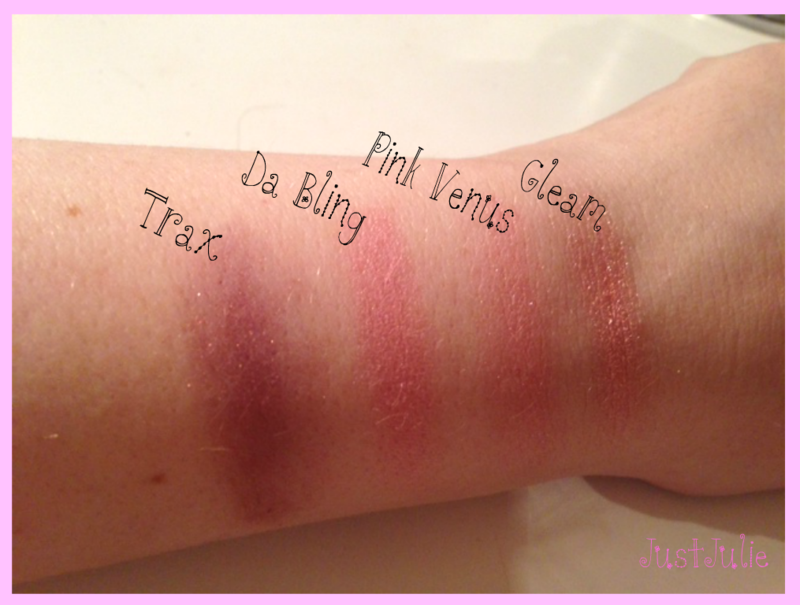 The swatch really doesn't do it any justice at all! 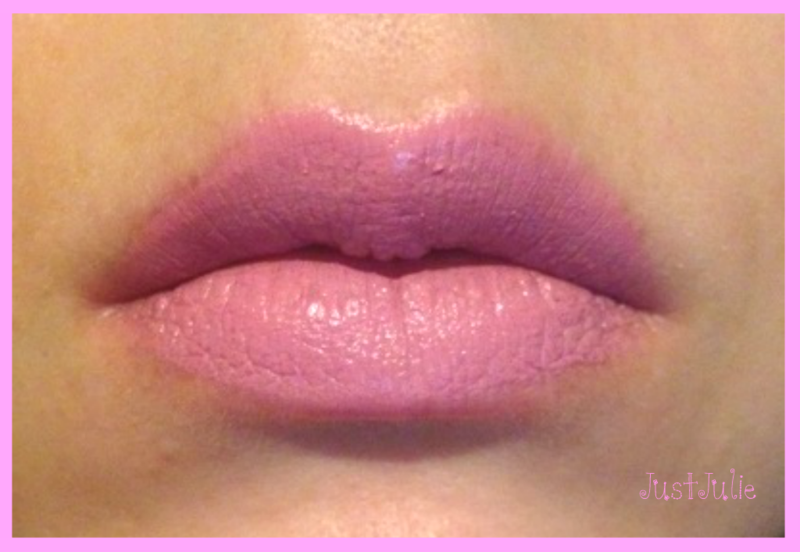 the colour is pink with a plum and gold shimmer undertone and it's just gorgeous and screams summer to me! I've never been a fan of Matte blushers as my foundation and powder are always matte so I like to add a slight sheen to my cheeks without looking like a hot glowy mess! 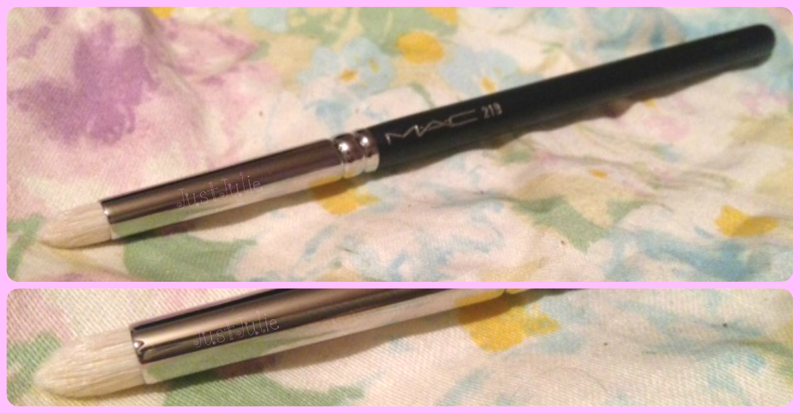 I've been after this brush for some time now but every time I go to my local MAC counter they're out of stock! 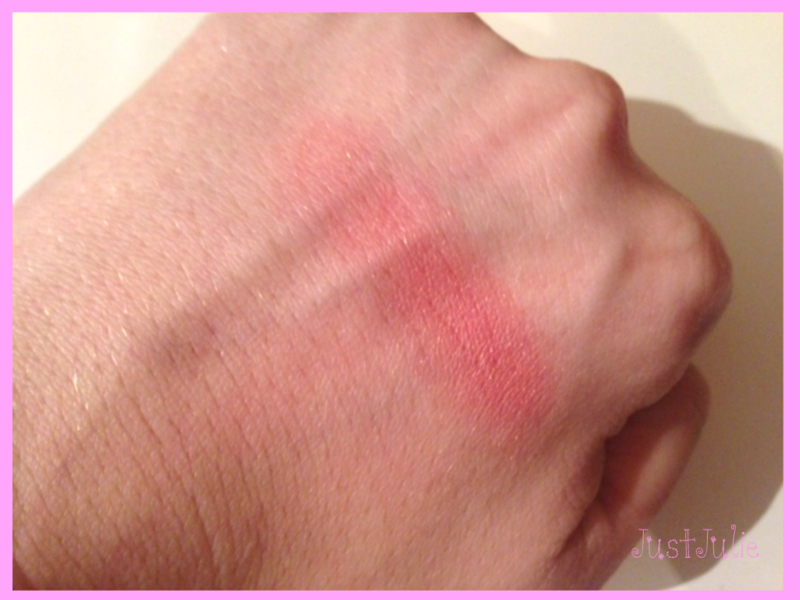 I love my Blank Canvas Cosmetics E23 Short Pencil which is a dupe for the MAC 219 (did you click the link and see how cheap it is???) but it has started to lose it's shape and because MAC brushes keep their shapes for years I thought this would be a great investment as I use a pencil brush a lot, it's perfect for applying darker colours to the outer V and for applying shadow on the bottom lash line. I also kind of have this thing where I like my brushes to be pristine white and my BCC pencil brush is no longer as white as it once was! By the way if you haven't tried BCC brushes before I highly recommend them, they're great dupes for MAC and Sigma at a fraction of the price and I'll be doing a review on the brushes I own shortly. So as you can see, aside from the brush MAC has brought some pink into my life, which is much needed as I've had enough of this awful weather that makes my hair go flat and just basically depresses me, so the pink has brightened my life up!!!! I have two more pay day hauls to follow (could increase...) so keep your eyes peeled for that! I love hauls so would love for people to link me to their latest hauls!